ysabetwordsmith | Poem: "The Conduit for Influence"
Poem: "The Conduit for Influence"
This poem is spillover from the March 1, 2016 Poetry Fishbowl. It was inspired by a prompt from ari_the_dodecahedron. It also fills the "integrity" square in my 2-29-16 card for the Villain Bingo fest. This poem has been sponsored by Anthony & Shirley Barrette. It belongs to the Officer Pink thread of the Polychrome Heroics series. Warning: This poem contains more angst about Turq's past, along with his present situation of resource scarcity and emotional flux. It's mostly an upbeat look at ways in which Ansel reaches out to him, though. following him for some time now. That was all right with him. if it fell into the wrong hands. where he was more often than not. unlikely to equalize any time soon. a dog choking on a leash. had found on the streets. would hold up as a wholesome example. in a healthy manner, most of the time. and relationships and social dynamics. buffer some of the worst effects. climb into the more rarefied territory of trust. as Turq circled slowly closer. he was out in public. and even a bit charming. the sidewalk and putting them in the trash. loosen spokes to straighten out a wobble. for a lot more work than you bargained for. around the room as the audience agreed. leaning against a wall with hat in hand. as a wind block and personal heater. but he didn't have a proper coat. of the wind as possible. "H-h-hey," Turq said, teeth chattering. "Cold day today," Ansel observed. and I feel b-bad if I st ... scrounge." looking for a winter coat." "There's always the thrift store,"
would balk at an offer to buy him a coat. "T-tried that, but nothing fit," Turq said. and skinny as the boy was. "Well, you can keep checking back,"
he said. "Watch the giveboxes too. their old coat if they buy a new one." made Ansel happy at the improvement. Maybe he could coax it along a little. "Have you got any other plans?" j-just dealing with today," he said. about the p-past or the future." a cart marked Honest Orville's Orchard. "Oh, I've got to have a cup of that,"
Ansel said. "Do you want one?" Turq gave a bashful nod. your largest size is, please,"
Ansel said to the vendor. a pair of enormous paper cups. and then took his own cup back. tiny, painful sips of his. this time of year," Ansel said. 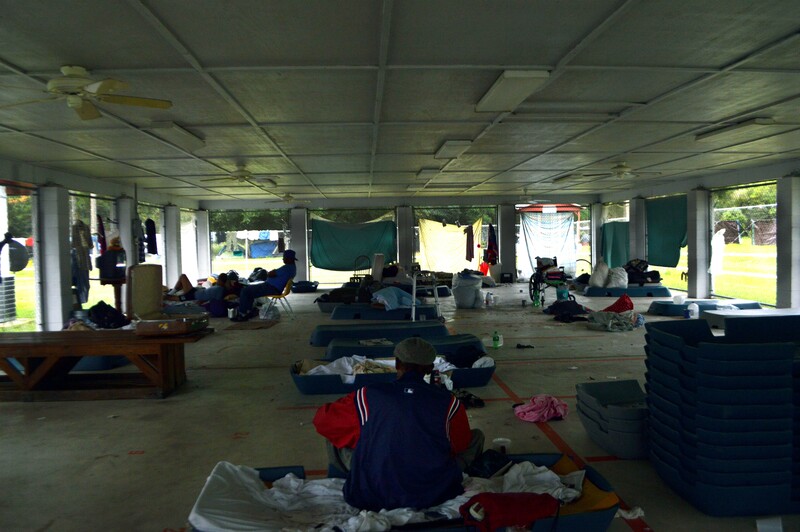 "Most of the shelters are indoors,"
"There's the Perkins Pavilion," Ansel said. Turq looked at him, then looked away. "The gazebo is warmer and drier." "Then by all means, use the gazebo,"
but it was tolerable enough for autumn. "Thanks for the offer," Turq said. off you, it's just --" He shrugged. "Well, that gives me an idea,"
at once and getting overwhelmed." Turq gave him a wary look. "Yeah?" a big project into smaller steps," Ansel said. usually clean once in spring and once in fall." "So?" Turq said, sipping his cider. you do the other, that cuts my chore in half. some of the winter gear that you find in yours. and hats that don't seem to belong to anyone." his face pinching at the thought. the cubby that's right beside it,"
just one small step at a time." "I don't know," Turq said, fidgeting. where he had left his car earlier. sloshing water from a puddle toward them. no telling what Turq had or where. to avoid spooking the boy. two muddy cubbies by myself,"
he said as he opened the car door. It wasn't perfect, but it was progress. "Trust is the conduit for influence; it's the medium through which ideas travel." Privacy is a basic human need, including location. In T-America, location is considered sensitive information because it can be used to hurt people, so they put far more effort into protecting it. Some people choose to give up part or all of their locational privacy because of their job, but it's still something to think about carefully. There are tips on keeping your movements private. Relationships can be healthy or unhealthy. Good ones tend to show some symmetry, although that may take different shapes. Know the signs of a positive romance or friendship. These are some ways to have a healthy relationship. Child abuse and other trauma often cause hypervigilance. This can be nerve-wracking for some caregivers, but others see it as an opportunity to model lots of positive behavior. Ansel doesn't mind being watched, because he wants people to pay attention to how he does things. He wouldn't specialize in public outreach if he didn't enjoy serving as a role model this way. Now compare that to the techniques for helping abused children. Trust is an essential component of influence. The traits of trustworthy people and influential people overlap a lot. Understand how to become a trustworthy person, build trust with someone, and increase your influence. Role models are important on both personal and social scales. Ideally, police departments should view community service as part of their job, and individual officers should strive to be good role models. There are many ways to make a difference in someone's life, but you may not realize when you are doing it. Know how to be a good role model or choose one to follow. Bike maintenance ranges from basic steps to advanced ones like truing wheels. Removing a negative coping skill before replacing it with a positive one can make matters worse, a drawback particularly conspicuous in cases of self-harm. It takes careful thought and time to replace coping skills. Yelling, demanding, or using force don't work and cause a lot of collateral damage. However, it's also possible to knock someone out of cope by accident, which is part of the problem here. Ansel wants Turq to stop stealing and otherwise breaking the law, but does not mean to push that faster than Turq can keep up with, so he's only mentioning it occasionally instead of harping on it. Trouble is, Turq has a good strong stamp of conscience buried under years of abuse, and that's reviving sooner than his tolerance for being around other people in ways conducive to supporting himself legally. Planning ahead is a vital life skill for children and adults. Turq's fluency with time is impaired by traumatic stress, and it's hard for him to work past that. There are tips for thinking ahead and teaching people about planning skills. Enjoy a recipe for Spiced Pear Cider. The Frances Perkins Pavilion Homeless Shelter is named after Frances Perkins (1880–1965) who advocated for Social Security, the minimum wage, workers’ right to unionize, and other social improvements. Structured parking refers to things like parking garages that reach above ground. This place was originally a double-decker parking lot with ground-level parking and then a roof above supporting another layer. So now it makes a semi-sheltered space for homeless people who can't or won't tolerate indoor shelters. Setting goals is another important life skill. Here is a SMART goal worksheet and a year goal. This page breaks a mid-term goal into smaller practice periods, and here's one for short, medium, and long term goals. Some worksheets consider obstacles and helpers. Ansel has two mud cubbies in his garage foyer: convenient for organization, but pesky to clean. The process of breaking large problems into smaller ones can help get more done. Here are some tips for breaking down projects. softly, calmly you must tread. calm the mind so filled with dread. those with courage, might and main. aiding captives with their chains. Wow! This is lovely. Thank you for sharing.